So you’ve done your shopping with the help of SmartBrowse and your cart is overflowing with the hottest audiobooks, CDs, and DVDs. Now what? Before you check out, adjust and modify your order with Midwest Tape’s SmartCart. Not sure where to start? Check out this guide to some of the cart’s basic functions. How do I create a new cart? There are two simple ways to create a new cart on the Midwest Tape website. The first is within SmartBrowse. 1. Select Add to Cart, once you have found your product in SmartBrowse. 2. Find New Cart from the Cart dropdown and click Add. 3. Enter cart information to personalize your cart. 1. Select New Cart from the Cart dropdown menu. 2. 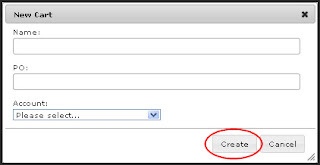 Insert a name and PO for your new cart, select an account, and click Create. 3. Once created, use SmartBrowse to find products to add to your new cart. Look for the third part in this series, where I will show you how to move product between carts. How do I find my cart? 1. Click View Cart in the toolbar. 2. 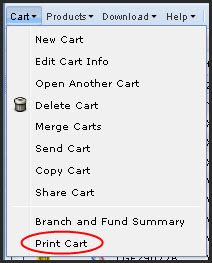 If you are using Normal Cart, click SmartCart in the upper right-hand corner. 3. Not the right cart? Select Open Another Cart in the Cart dropdown menu, or click on the switch cart link at the top center of the screen. 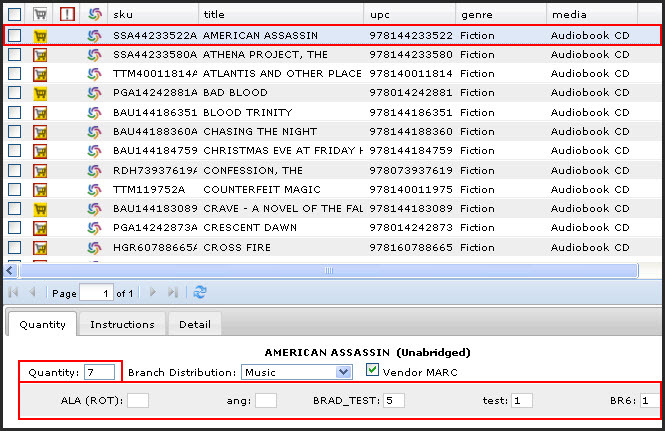 Then select the desired cart from a list of all of your available carts. You can also click Switch Cart on the top of the homepage. My library doesn’t need any more country music CDs. How do I delete all the country titles from my cart? Sorting product is quick and simple with Midwest Tape’s SmartCart. 1. 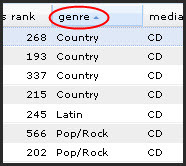 Click the genre header to sort the titles alphabetically by genre. 2. 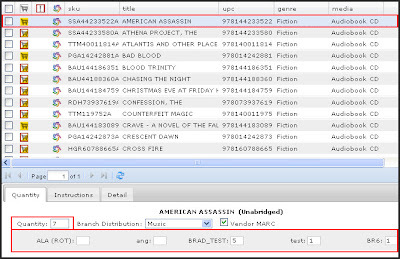 Click the corresponding boxes to the left of the country titles. 3. Delete these titles by clicking Delete in the command toolbar. 4. You can also Delete Products by clicking the Products dropdown menu. 5. Similarly, you can Copy and Move multiple products in this way. I have too many titles in my cart. Can SmartCart help me decide between titles? Are you debating between two titles but unsure of which to choose? Midwest Tape incorporates reviews from Rotten Tomatoes (DVD) and All Music (CD) into SmartCart. You can find these reviews in the tabbed section on the bottom portion of the screen. How do I review the details of each title before checking out? SmartCart makes it easy to review each product in your cart without having to reenter SmartBrowse. 1. Highlight a title in the grid in the top half of the screen, and then click the detail tab in the bottom half of the screen. There has been a rising demand for a particular title. 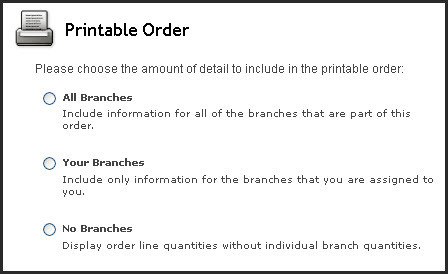 How can I increase our order quantity? 1. In the top grid, highlight the title in question. 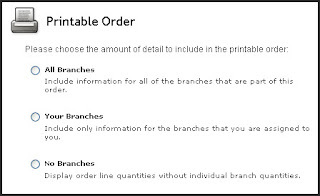 Adjust the quantity and branch allocations under the Quantity tab. I keep physical copies of all our orders. Is there a way to print a copy of my cart for my records? 1. Select Print Cart from the Cart menu. 2. Select how much detail you would like to see; upon selection, a new window will open. 3. 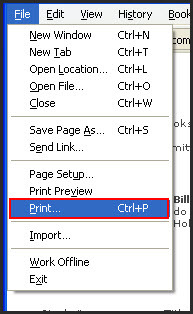 In the new window, select Print from the File menu. I can’t checkout because I have “unavailable product.” What should I do? 1. 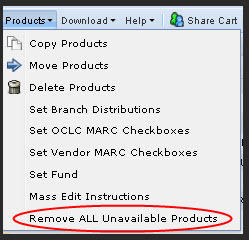 Select Remove ALL Unavailable Products under the Products dropdown menu. 2. 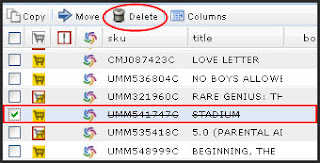 Manually select the unavailable product(s) and delete them. 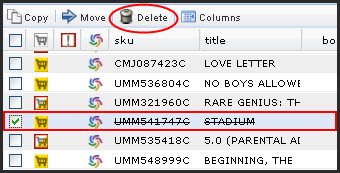 To do so, checkmark or highlight the title that needs deleted and click Delete in the command toolbar. Note: Unavailable products will have a line through them. Now that you know the basics of SmartCart, look for our next installment of the SmartCart series about customizing columns. In the meantime, please try out SmartCart and share your insights and experiences here as comments.